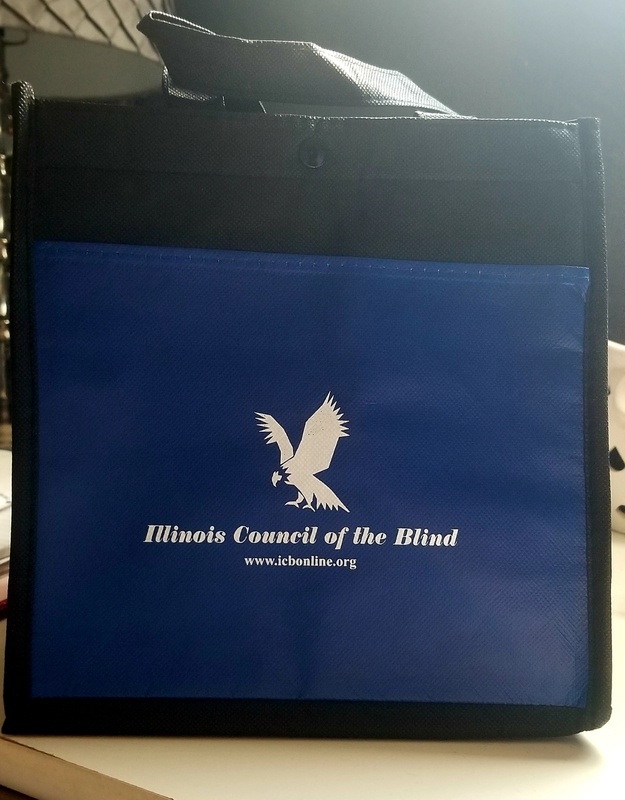 The purpose of the Illinois Council of the Blind is to promote the general welfare of citizens in Illinois who are blind. Our goal is to improve the quality of life for all blind and visually impaired citizens in Illinois. Our objectives include protecting the rights and privileges of visually impaired Illinois citizens by monitoring legislation, agencies, and organizations that provide services for them. We also provide mutual encouragement and support through social interaction. Colors are: black bag with royal blue pocket. Made of nonwoven polypropylene with an interior foil lining. 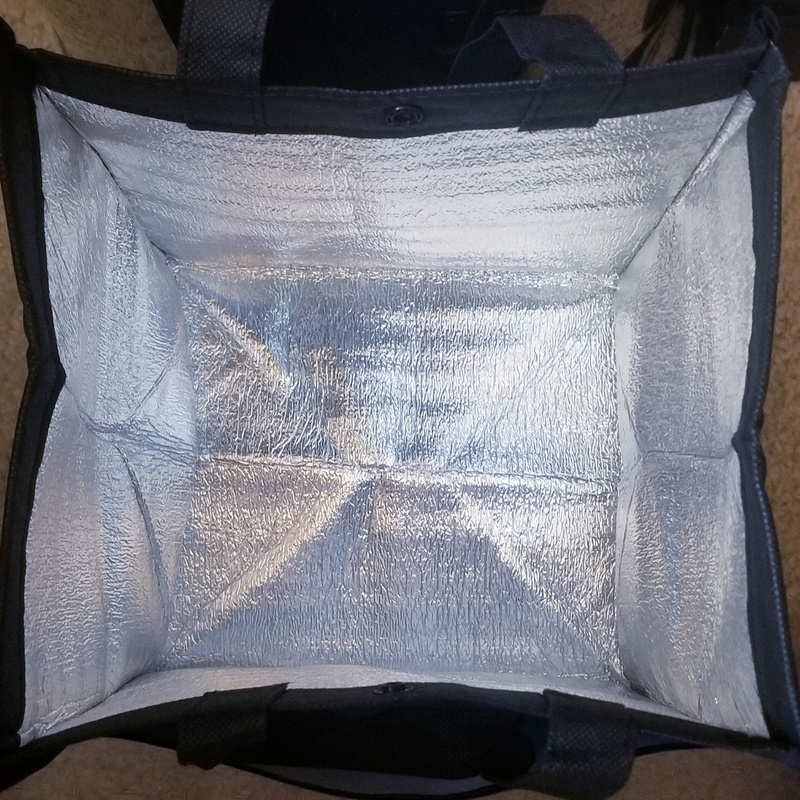 Foil lining helps retain cold temperatures to keep your food and beverages fresh. Snap closure on the main compartment secures your belongings. Designed with a front slip pocket for additional storage. Carry using the 12" grab handles. Size: 9-3/4" x 9-1/2" x 8-1/2".